HJ: Having an out of body experience is an expansion of consciousness into a form not confined to the physical body. Imagine, for a second, the incredible possibilities that would open up to you. No longer confined to the body, your consciousness can explore distant locations and gain incredible insight by observing your life experience from a new and unique perspective. Out of body experiences are often associated with near death experiences and they do frequently occur simultaneously, however, having an out of body experience in and of itself does not mean your are dying or is in any way dangerous. 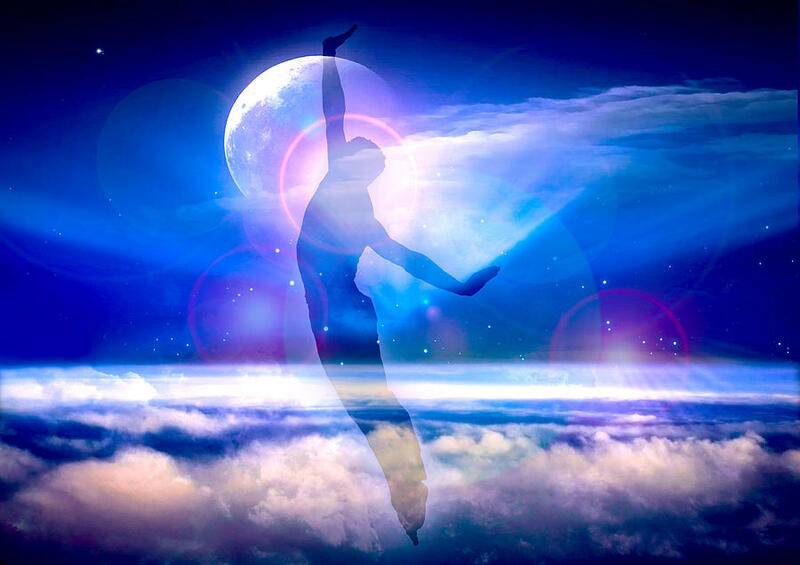 Out of body experiences happen frequently in the dream state although we are often not aware that they are occurring. The process of having an out of body experience of which we are aware, on the other hand, allows us to consciously explore our own consciousness (no pun intended) and expand the limits of what we believe is possible. Our consciousness is only limited by what we believe its limits are. By opening ourselves to expanded states of awareness such as having an out of body experience, we thereby open our normal waking consciousness to an even deeper life experience with greater possibility and opportunity. The ability to have out of body experiences is a skill that can be cultivated and developed just as one might learn to paint. With regular practice, you will gain a degree of mastery that can transform a novel experience into a very real tool which can be a huge asset in ones life. Joe Lotus, master herbalist, explorer of consciousness and founder of Unfolded Louts describes his methodology for inducing out of body experiences below. I think by now most of us are at least vaguely familiar with the concepts of OBEs, lucid dreaming, astral projection, and remote viewing. They’re very similar occurrences, that usually take place somewhere between the 4th and 6th dimensions of awareness; these events offer the individual a broader and deeper consciousness, as well as an egoless experience. In these various states, practices such as Dream Yoga, Channeling, Clairvoyance, Qigong, and many other esoteric and metaphysical exercises can be fortified and expanded upon. There have been countless sleep studies and a voluminous amount of how-to literature written (my favorite subject-matter experts are Robert Monroe and Robert Bruce), much of which clearly illustrates the ability we ALL have to expand our consciousness. Using the combined energies of meditation, concentration, frequency resonance, and plant-medicine, I have distilled the years of research and experimentation I’ve conducted on these subjects, and created a simple method for insuring an Out-of-Body Experience. To me, an Out-of-Body Experience represents the ultimate goal in expanded awareness, as it takes the most concentration and practice to attain. The point of separation in an OBE is a very powerful preview of the moment of death; meditating on this event can have an enormous positive effect on the expansion of consciousness. It can also help one prepare for a conscious death and subsequent rebirth. Furthermore, the quiet state of mind and deep concentration needed to make through an OBE, will help you become more focused, calm, and balanced in your everyday, waking life. There’s not too much extraneous stuff to say about the following steps, except you have to do them, and you have to do them in order, and you have to do them for at least 21 days in a row to see major positive results. There’s no way around this, but I can assure you – resetting your pattern is the only difficult part in this entire system. If you can give three weeks to this practice, you will most definitely have an OBE. The schedule is pretty relaxed, but aim for the windows of time as best as you can. I’m also including suggestions for yoga poses you can use when one isn’t specified. 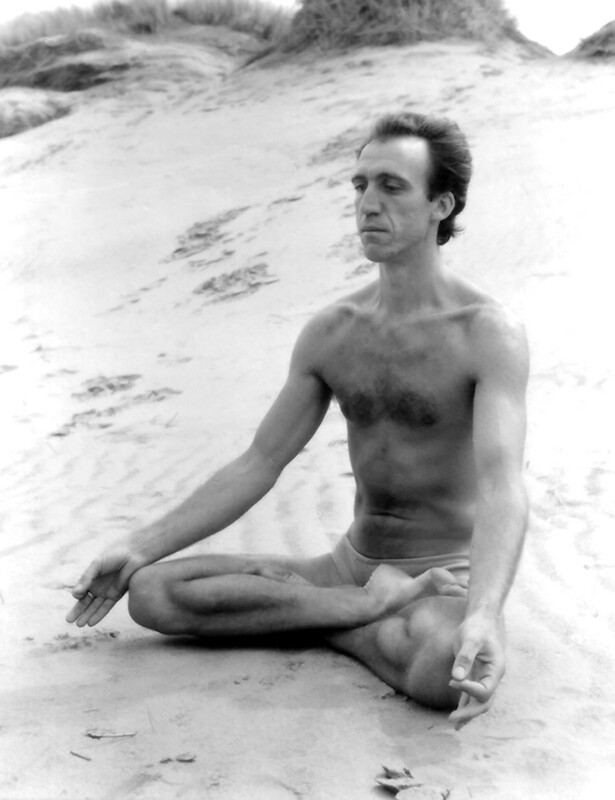 Morning: Between 6am and 9am, on an empty stomach, Thunderbolt or Half-Lotus pose. 10 minutes Corpse Pose: During which you should meditate on the impermanence of the physical body and the eternal nature of the soul. Afternoon: Between 3pm and 5pm, having not eaten for at least 2 hours, Full Lotus or Half Lotus pose. Night: Between 9pm and 11pm, having not eaten for at least 2 hours, Lotus, Half-Lotus, or Thunderbolt pose. 8-12 ounces of hot unsweetened Reishi Tea while sitting in silence. Corpse pose with the same meditation as the morning pose. This is to be done in bed, ready for the OBE. There is no time limit or expectation here – when it feels right, move away from the meditation and begin a mental full body scan. 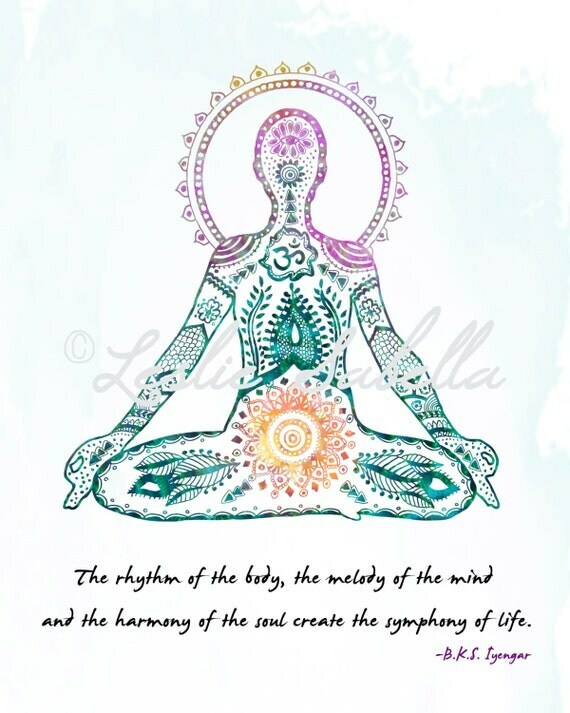 With purpose and intention, visualize and feel each part of your body vibrating with Universal Energy (Prana, Qi). Focus on separating the inner energetic body from the outer shell. Calm the breath. As stated earlier, it really isn’t any more difficult than adhering to this rather loose schedule for three weeks. Try it and I’m sure you’ll have wonderful, fulfilling, consciousness-expanding experiences. There are a few common pitfalls and obstacles, so let’s quickly address those, then I’ll let you be on your way to new experiences and soaring heights! *To have the best chance of being successful, a relatively healthy lifestyle should be adopted before attempting this method. Things like smoking cigarettes, moderate-to-heavy alcohol use, being over-sexed, outbursts of anger, and so on, will put up barriers that will make getting out of body nearly impossible. The key to making it through an OBE (and out in to extra-dimensional existence) is being able to remain calm, centered, and aware during a really odd, and generally frightening experience. As your consciousness slips further away from the grasp of your everyday ego, that selfish little guy does all he can to shock you back in to your body. You might hear the most terrifying screams, scary whispers of your name, a lover or child calling out to you for help, thunderous banging, or any number of weird, scary things the subconscious can think up on a whim. Or, you may just feel an ominous presence in the room; dark, foreboding and wild – what is it?! No worries, just that crabby ol’ ego again. Just ride it out on that long, slow breath you’ve been cultivating for weeks. Focus on your breathing during any chaos, intensity, or earth-shaking vibration you may be going through, and eventually you will ride it out. The last obstacle, and another “freak-out” moment, can oftentimes come during the onset of Sleep Paralysis. As the name implies you can’t move your body (at all) during this time, and it can easily scare you back in to a waking state. 2. Focus on moving your energy body, and have a glorious out-of-body experience. Opt as best you can for number two, you won’t regret it. When you make it past the initial shock of sleep paralysis, you’ll most likely be met with the most intense vibrations you’ve ever felt; I also wouldn’t doubt that you’ll hear a really high-pitched buzzing as well. Breathe and rock your energy-body at the waist repeatedly, calmly, but with purpose; roll your eyes up to the point between your eyebrows and lift up out of the physical body. Now the trip is up to you. Where will you go, what will you do, and what has this practice been leading toward? Only you can answer those questions, but I urge you to seek out your higher self, and also to practice one or more of the many disciplines mentioned earlier (Dream Yoga, etc. ).